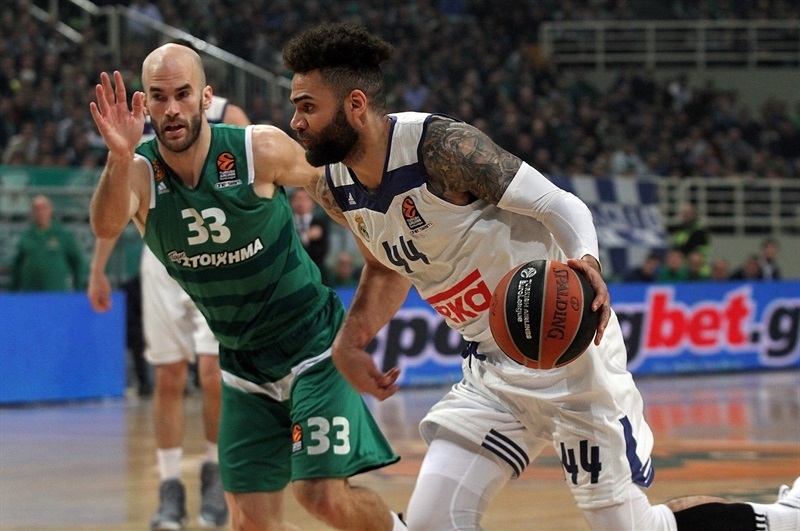 In a battle of EuroLeague titans, Panathinaikos Superfood Athens got back to its winning ways, pulling out an 88-82 win over Real Madrid in the Greek capital on Thursday night. 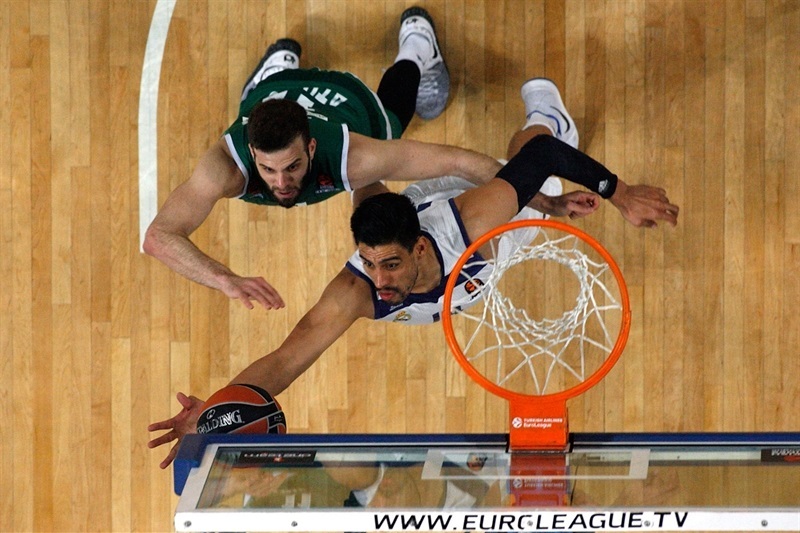 Panathinaikos moved its record to 15-11 and improved its chances of qualifying for the playoffs, while Madrid dropped to 19-7 and missed its first chance to lock up home-court advantage in the playoffs. The teams traded baskets often and neither team held a lead bigger than 7 points until the final minute of the game. 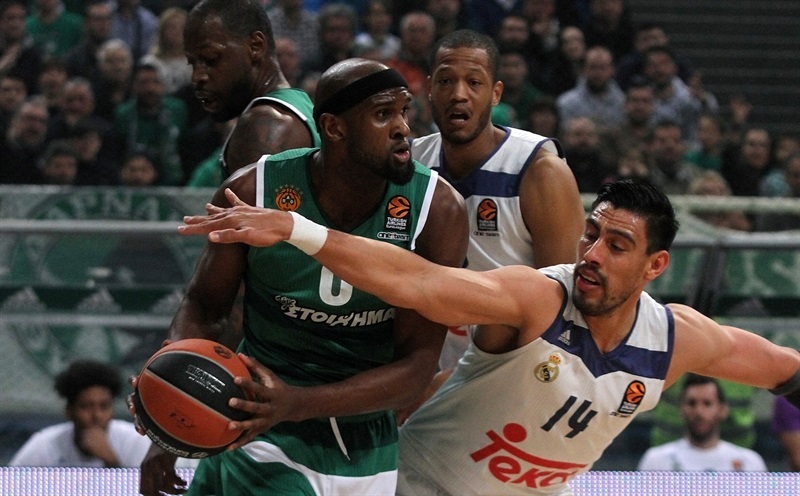 The Greens were ahead most of the night, but Madrid used an efficient start to the fourth quarter to take a 64-66 edge. That is when Chris Singleton and Mike James stepped up and restored the lead that the hosts held on to in the final minute. Singleton finished with 21 points and 9 rebounds to lead the hosts, Mike James and James Feldeine netted 14 apiece, K.C. 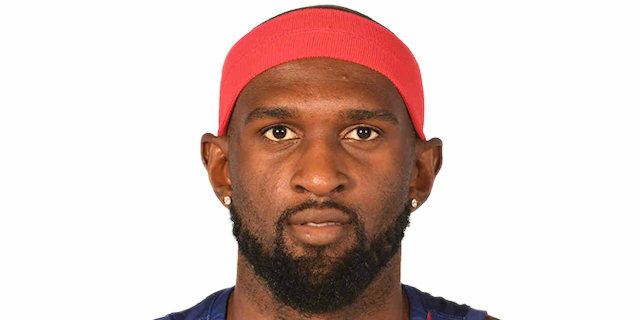 Rivers scored 1 and in his return from injury, James Gist scored 11 points in victory. 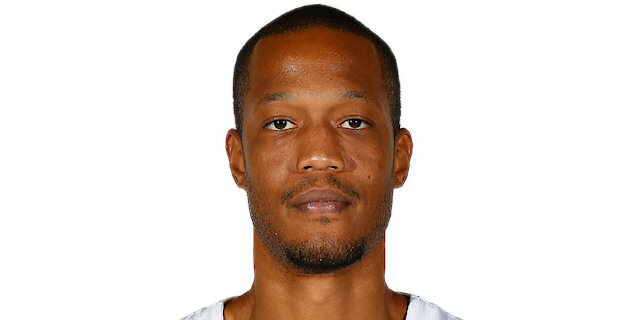 Anthony Randolph was Madrid’s top scorer with 13 points and he pulled down 9 boards, Gustavo Ayon scored 12, while Luka Doncic, Othello Hunter and Sergio Llull scored 10 apiece in defeat. 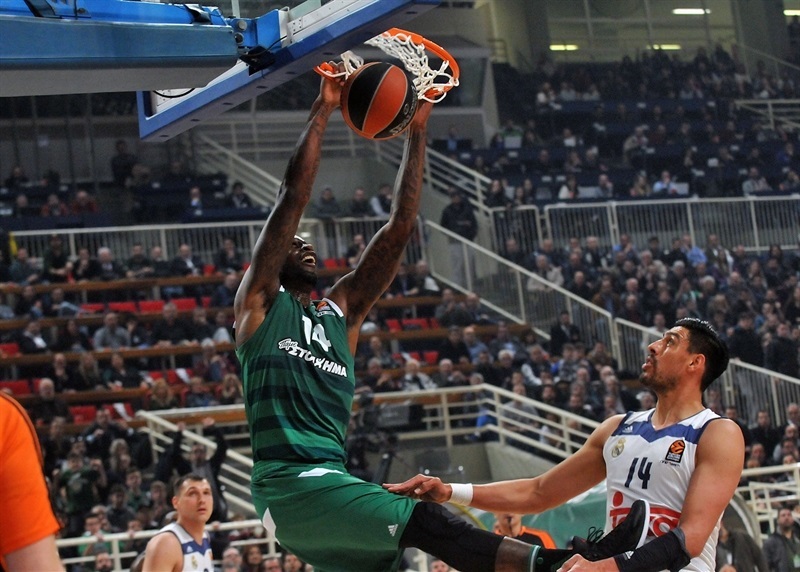 Panathinaikos got an early advantage with a three from Singleton and a three-point play by Gist. An alley-oop dunk by Gist opened an early 10-5 lead. 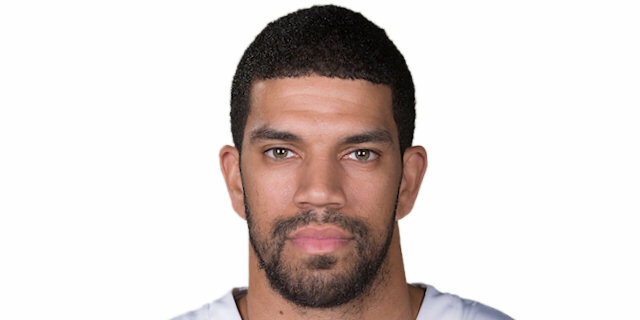 After Llull nailed a jumper and a three-pointer to make it 13-14, Nick Calathes replied with a three of his own, and a three-point play by Singleton made it 14. Madrid played a lot of zone defense and did not allow the hosts to get into a rhythm. A floater by Calathes made it 21-19 after 10 minutes, and James hit a triple to push the margin to 26-19 early in the second. 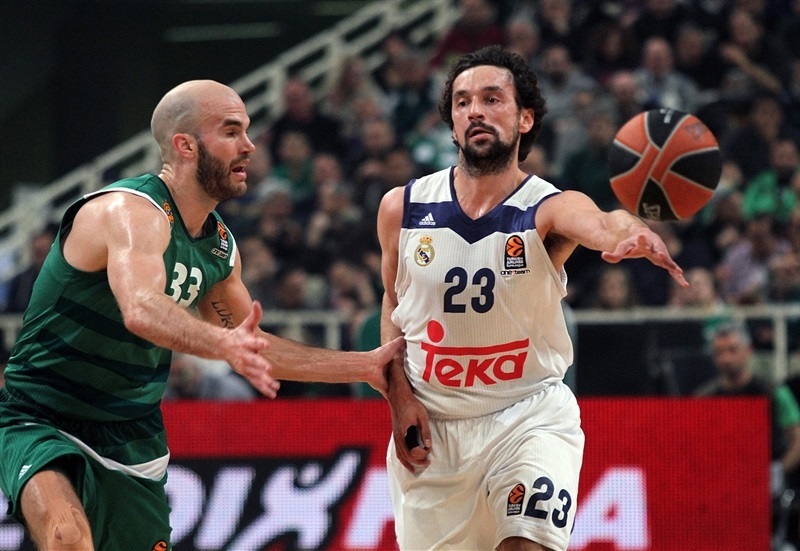 Madrid answered with a 0-7 run that included a three from Rudy Fernandez. A wide-open three from Jaycee Carroll gave Madrid a 33-35 edge, but Rivers had a three-pointer and a three-point play on back-to-back possession to restore the lead for the Greens, who went into halftime up 43-41. After the break, Rivers scored twice and Feldeine had a pair of baskets, including a steal that led to a fastbreak dunk and a 53-48 lead. Threes from Doncic and Randolph put Madrid back in front as the visitor took a 55-58 lead before Feldeine hit a triple at the buzzer to tie the game going into the final 10 minutes. 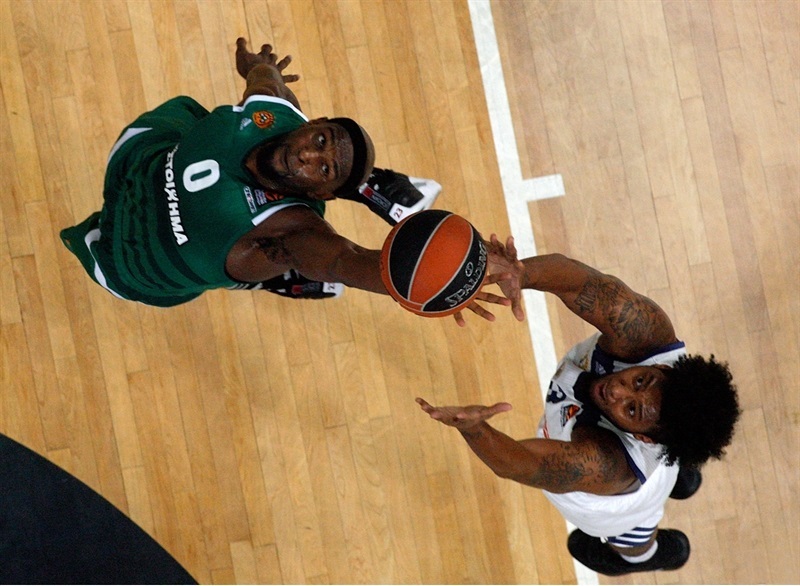 The teams traded blows early in the fourth, and an alley-oop dunk from Hunter gave Madrid a 64-66 edge. But Nikos Pappas scored on a fast break, Singleton nailed a three-pointer and James scored a driving layup to give the Greens a 75-69 advantage . 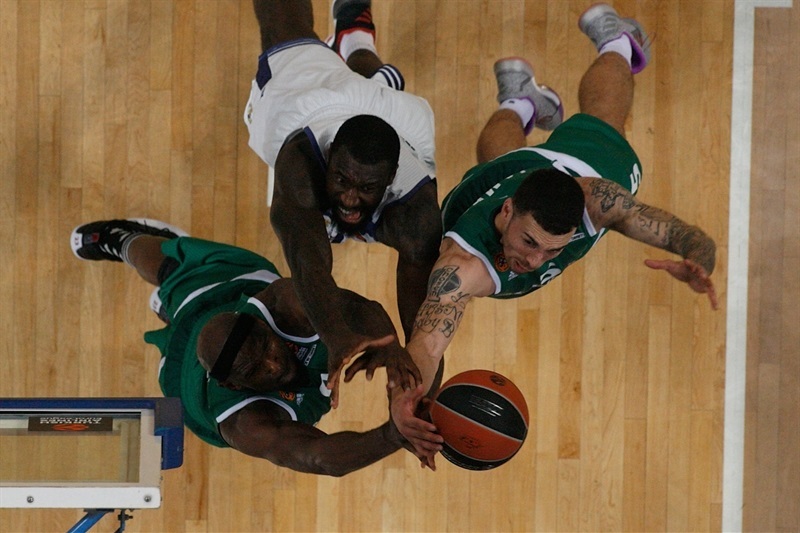 A triple from Fernandez got the visitors within 77-74, but James hit a three-pointer with 63 seconds remaining, and Singleton broke free for a dunk with 45 seconds left, making it 82-76 before him and Ioannis Bourousis sealed the deal from the free throw line. "We are very happy for this game. Tonight we played a great game. More or less we kept to our plan the entire game, on defense and on offense. We knew before the game that to beat Madrid you have to play good in the fourth quarter, and tonight we did. I think it was a beautiful game for all the supporters, for all people who love basketball. Both teams tried to play fast and both tried to do tactical things to take advantage on defense. We controlled turnovers very well, which is why Madrid did not score too much on the fast break. The only bad thing was on defensive rebounding, that Madrid had a lot of second opportunities to score, but in general we had a good game and we are happy with that. [In regards to their 16 offensive rebounds] It can happen if you decide to switch more on defense. We changed our plan a little today, we wanted to destroy the creation of Madrid, because they have two incredible pick-and-roll players, Llull and Doncic. I think we found solutions in one part of the game, but if you switch on defense too much, you have more problems on defensive rebounds. This is why we had to fight close to the basket and in the low post. I think we improved in the second half, I am not sure, but I think they had 6 offensive rebounds in the second half, and 3 or 4 of those came on the same trip down the floor. 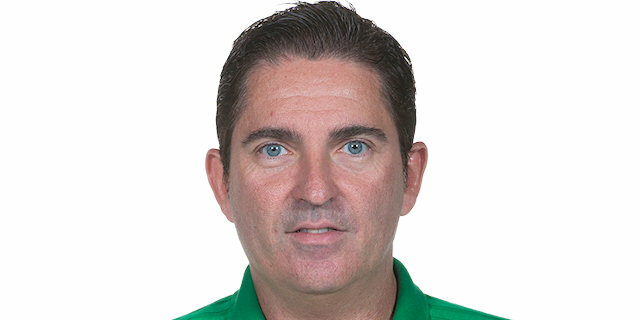 So in general, we did a better job in that in the second half"
"Congratulations to Panathinaikos on the win. It was a very tough game from beginning, very tied in a lot of things. Two aspects were decisive. First, they made important shots at the end of the game, one in the lane, Singleton made a three-point play and scored on penetration. I think they scored 10 very difficult points in one-on-one situations. But when you play great teams, they have great players, and they can do that. It is very difficult to win in EuroLeague away from home if you have 16 turnovers, some of them on the first line, so they were able to score one-to-zero fastbreak baskets. We knew how difficult it would be to win here, but this is a tough EuroLeague, and we have four games to go, and we are in a good situation to make our goals. First was to make playoffs, and second to get home-court advantage in the playoffs. I do not think about the playoffs, they are one month away. But I am happy we are in the playoffs. I am not happy because we could have secured home-court advantage tonight, but it is still in our hands." "I just played my game and some shots went in. If shots go in for me, it is a different ball game for our team. And me and K.C. Rivers made shots today. Defense is key for every game. At home we play really, really tough defense and we take pride in that. " 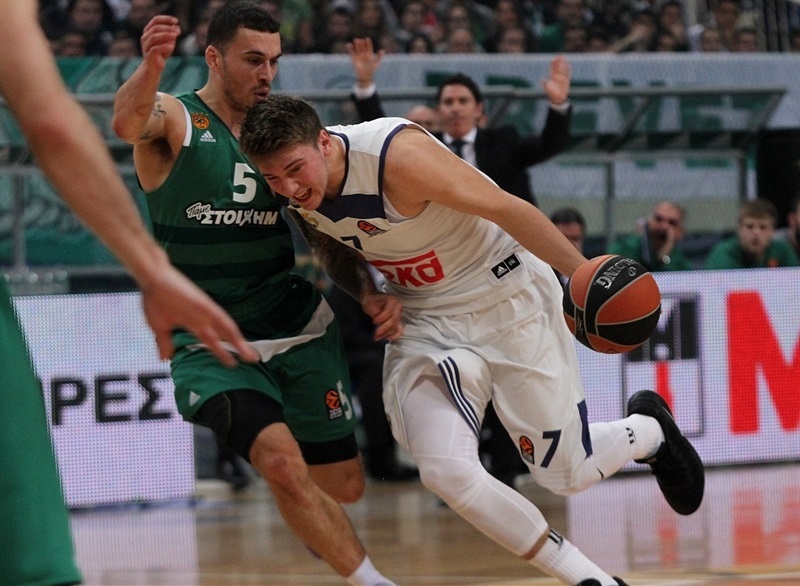 "It feels good, especially beating the top team in the EuroLeague this year. Hopefully we continue to get wins, we got four more games to go; they are very big games because of our seeding. It is a very good win, and I’m glad our fans came out. I felt tonight our defense was there, we had to concentrate because we knew they got a lot of big players on their team, and we knew we have to come in and fight. We knew we were going to get all they had. I’m just glad we won." 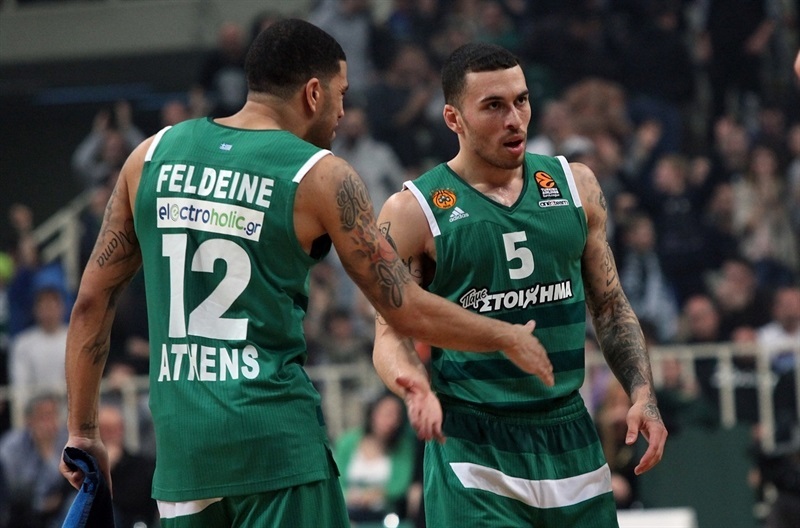 "We had a solid game, just tonight Panathinaikos came out on top. 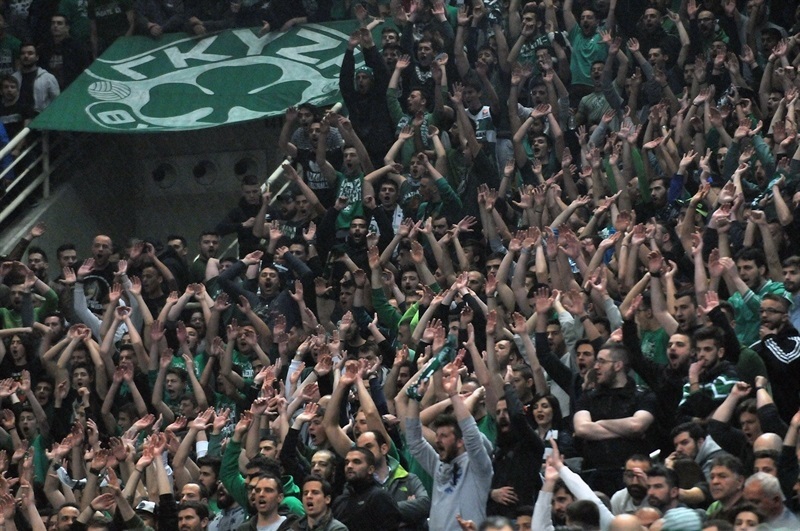 It is a tough place to play, just like anywhere else in EuroLeague. In this league, we have to play hard each and every game. You cannot take any opponent for granted. 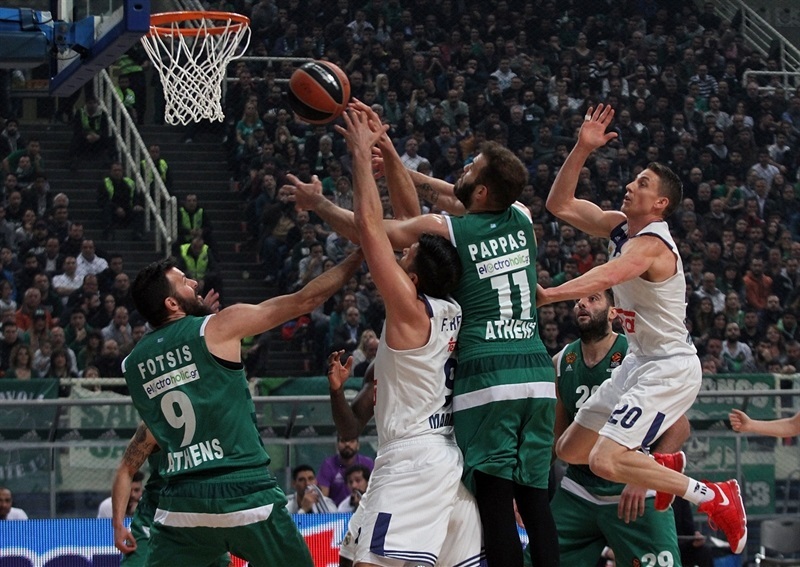 We did not take Panathinaikos for granted, we played solid and a full game, but they made more plays down the stretch to win it. I love playing against Chris Singleton. He is a great player and a good person, it is always a good thing to play against him."